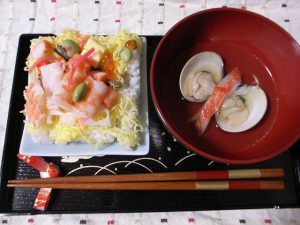 Chirashi Zushi, Japanese seasonal dishes on girl’s day. 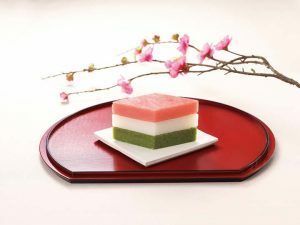 In this series of articles, we’d like to focus on Japanese traditional & seasonal dishes. 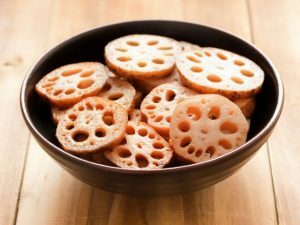 Today’s topic will be traditional dishes eaten on “Hina-matsuri” day. In japan, the Doll Festival called “Hina-Matsuri” takes place on March 3rd. 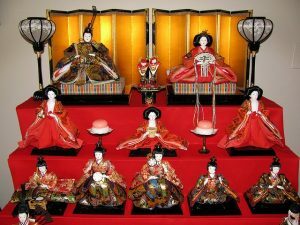 The aim of this event is to wish for health and safety of your young daughter by displaying a set of Hina-Ningyo (ornamental doll) at home and having special dishes served on the day. Families get together and enjoy delicious traditional dishes such as, Chirashi-zushi, Hamaguri Osuimono, Hina-arare, Hishimochi and drinking Amazake. Hishimochi is a 3-tired diamond-shaped finger snack, which has 3 different colours in each layer to wish for health and safety. To be a little bit more specific, (1) the red/pink color is regarded as repelling evils, and (2)the white color symbolizes a log life and purity. (3) the green color stands for health and preventing sickness. -Why Clam Soup (Hamaguri Osuimono)? Clams symbolize the best couple because a pair of clam shells fits perfectly and they have to be the original pair to do that. This is basically to wish your daughter a perfect husband and happy marriage in the future. Chirashi-zushi is sushi-rice topped with raw fish and other ingredients, and is served on a big plate that people help themselves. Since it’s made with a lot of different ingredients, it is to hope that the daughter won’t go through starvation at any stage of her life. 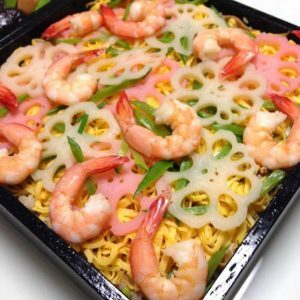 Just to name a few important ingredients, prawns and lotus roots are regarded as bringing good fortune: Prawn symbolise a long life until people have bent legs, and Lotus roots are regarded as foreseeing the future through its holes. 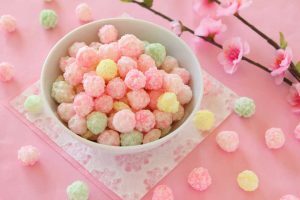 Hina-arare are bite-sized sweet rice crackers whose colours are pink, green, yellow and white. People also drink Amazake, a sweet drink made from fermented rice. As you can see, the ornamental dolls and special dishes are prepared all for wishing much happiness for their young daughters.